Here is one of my favorite spaces to date - my natural light studio. My supportive family took a dream I had and turned it into a reality. I wanted a space that was reflective of my photography style - light, airy and natural. And while my design team (ahem, Dad, I am looking at you), had lots of opinions along the way, they ultimately got on board with my vision and in the end this girl could not have been happier with the finished product. 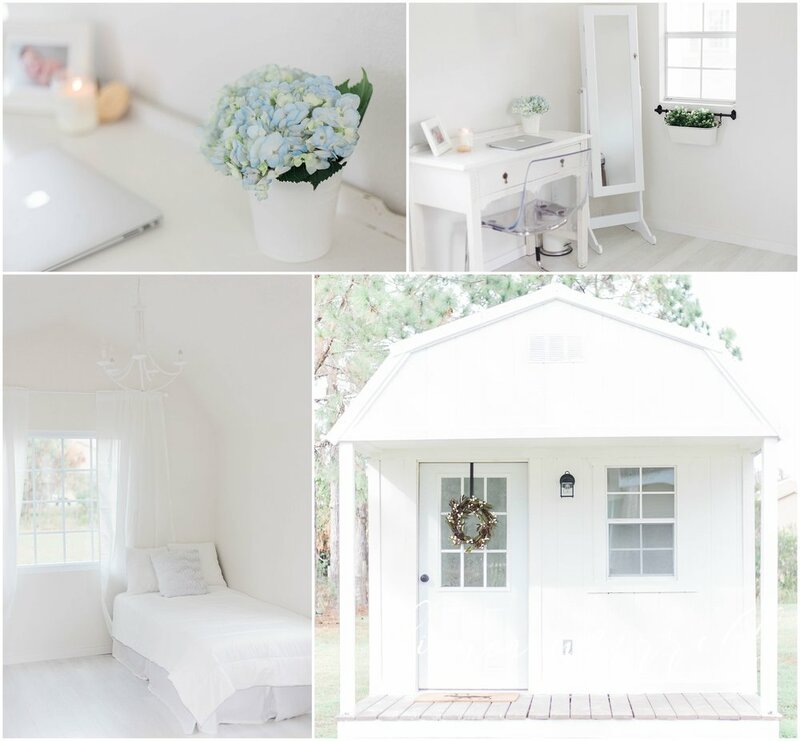 My studio is located on my property in Wesley Chapel, FL.